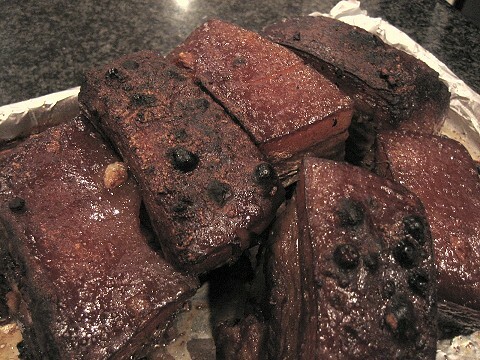 "Why Jews Like Chinese Food"
We were trying to think of more "imaginative" ways of cooking these pieces of pork belly. Eventually, laziness got the better of me and I settled on doing "plain old" adobo. However, as per usual, once I get started doing something, I don't end up as lazy as I wish to be. 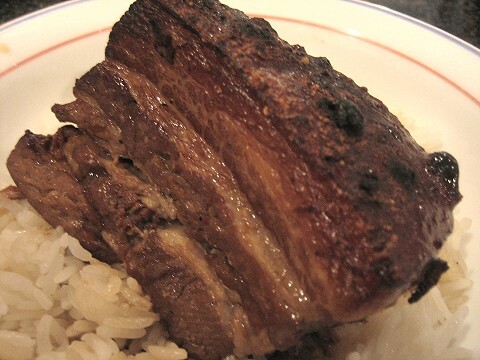 So, I decided that two pieces of the belly would end up as adobo, while the 3rd would be a tamarind-based dish. We just did adobo with chicken (which was FANTASTIC! 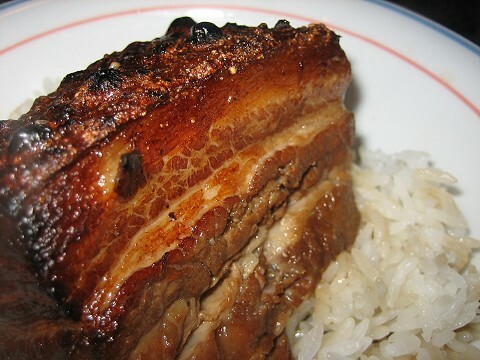 ), but pork belly (liempo) is another traditional adobo ingredient. So easy, yet so tasty. Dump everything into a pot! 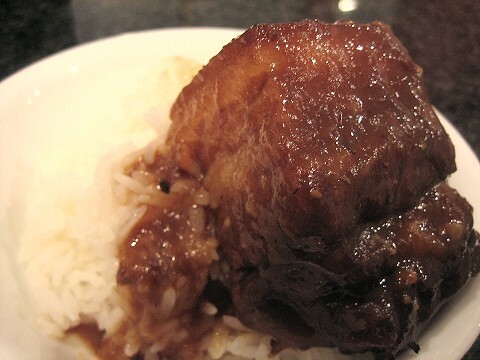 Our chicken adobo post has detailed quantities. I only added a dollop of coconut milk to this one. I didn't want the dish to taste coconut milk-ish at all. After simmering for about an hour or so, it was ready. Next, the skimming of the fat. Definitely not for the faint of heart, as those bellies render out quite the artery-clogging amount of fat. My mother loves to skim fat, so I let her get skim-happy. I was inspired by the braising-then-grilling action on the chicken adobo, so I thought I'd do the same thing to the pork bellies. 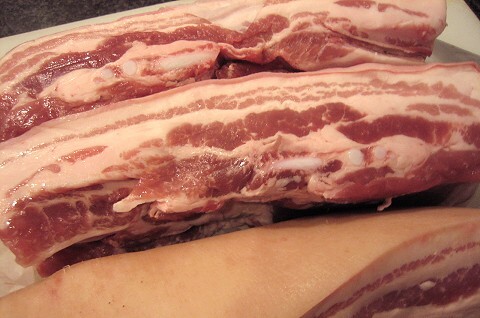 With that in mind, I cut the pork bellies into the large pieces seen here. Otherwise, the slices would be a lot smaller. 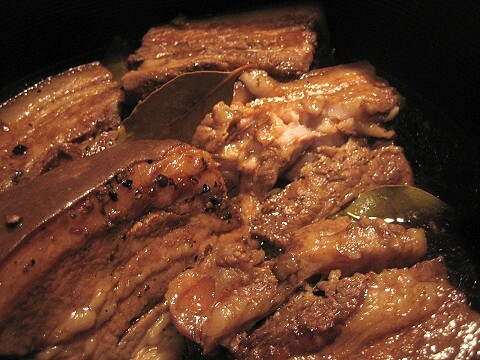 I took them jiggly bellies out of the braising liquid and loaded them onto a pan to put under the broiler. I think I needed to add a bit more water to the braising liquid to make it a nice-tasting "sauce". Although it looks nice and crackled, the skin didn't really get crispy. Maybe one really does need to deep-fry the bellies for that to happen? Oh well. It was still fantabulous, nevertheless. Onto rice it went, with the sauce, of course. This is also a dump-everything-into-a-pot dish. (We have quite a number of those in our repertoire.) 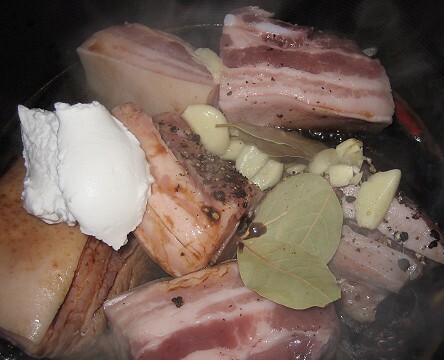 The duo of pork bellies simmered side by side on the stove. How sweet. After simmering for about the same time and the requisite fat-skimming, it was done. This dish -- which has no name -- had a thicker, more luxurious sauce because of the texture of the tamarind pulp. I didn't bother doing the broiling, since it failed miserably for the adobo. Again, onto rice it went. 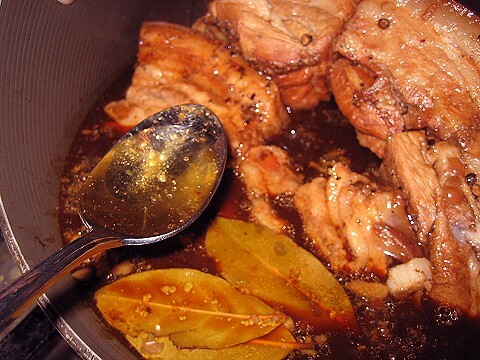 Adobo deserves to be the Philippine national dish. So simple to cook but it tastes so goooood!! Adobong balot. That will be the ultimate Pinoy dish. Boil and peel the balot and then cook it in adobo sauce. Yum! 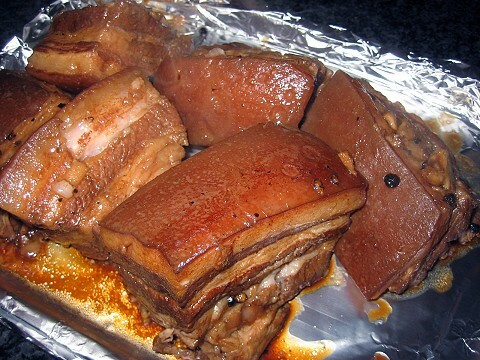 The ultimate Pinoy dish. Tastes better than scrambled then pan fried balot. I was thinking about how adobo works so well with fatty meat, and I started wondering about adobo FISH... does that even exist? I was imagining that perhaps it would be good with something like black cod. Or even, dare I say it, since it is a fatty fish, adobo SALMON?!!! Tiff, anything can be made into adobo. You have probably heard of adobong kangkong. I used to have fish adobo using hito (catfish) when I was back in the Phils. It's good!! One time I was at T&T Richmond and I spotted a package of frozen Tilapia bellies. That will be excellent for a fish adobo. 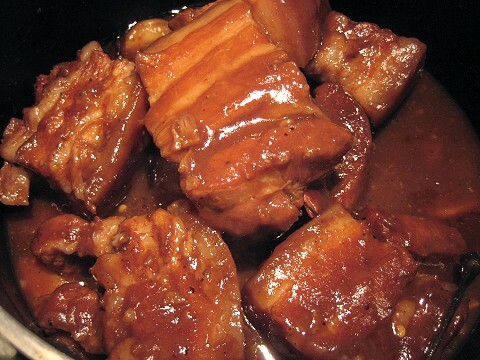 Fatty fishes are good in adobo. Just add ginger in the ingredients to reduce the fishy taste. wow - you guys did an amazing job. i love the idea of 2 different types. i need to look into that whole adobo thing. it's news to me! 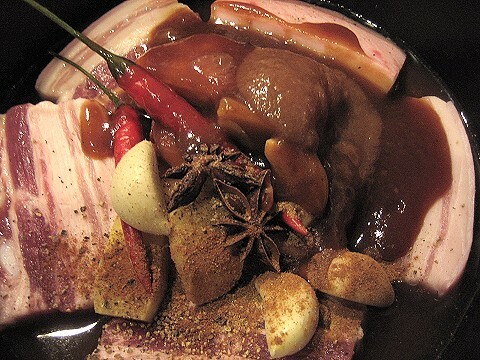 We just did adobo with chicken too (and posted about it, that is). As you can see, it seems anybody from the Philippines is obsessed with adobo! And yes, adobo kangkong (water spinach is one of the names it's called) is quite a favorite as well!